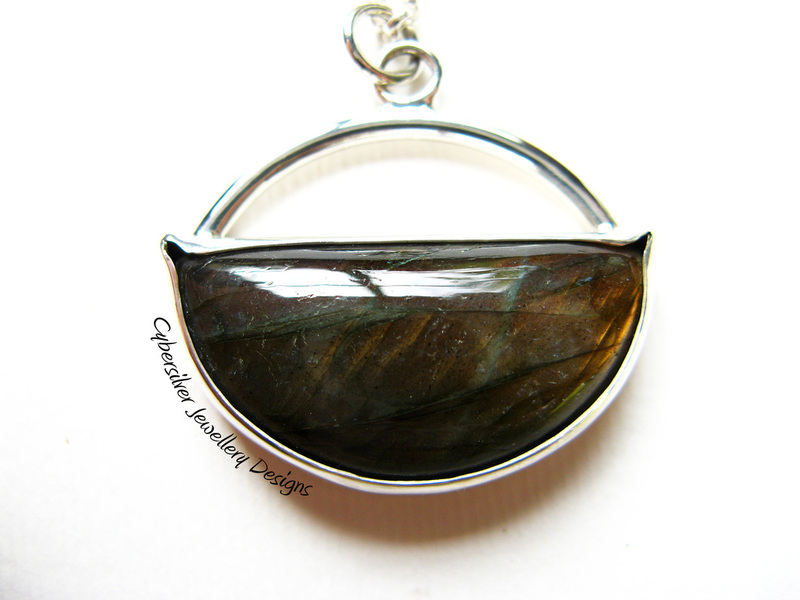 I wanted to make a more classic styled pendant to really show off the unusual shape and colour of this stunning labradorite. The stone is a lovely crescent shape and has the most wonderful golden labradorescence. 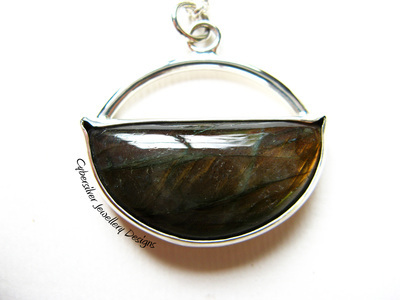 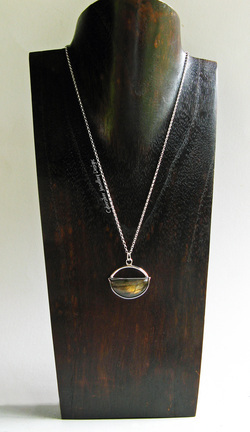 This pendant hangs from an 18" solid silver chain. 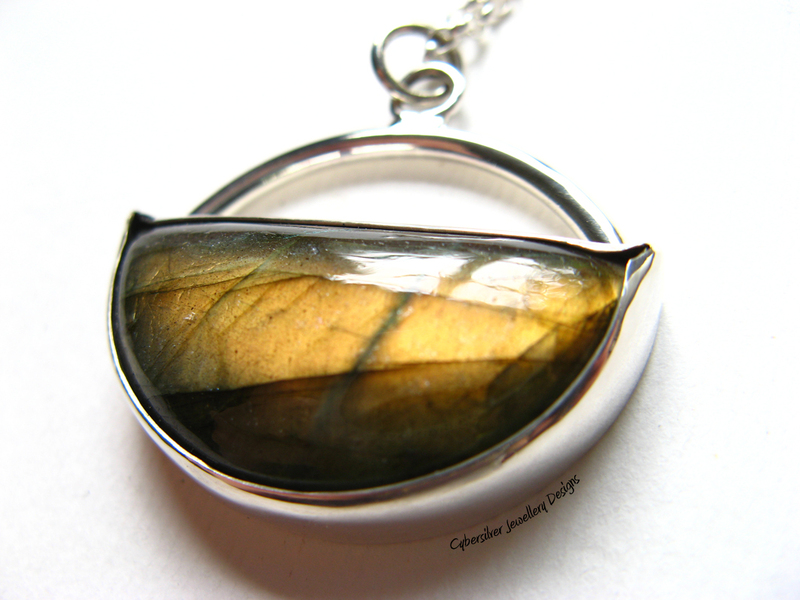 Please note that labradorite has natural fissures and inclusions. 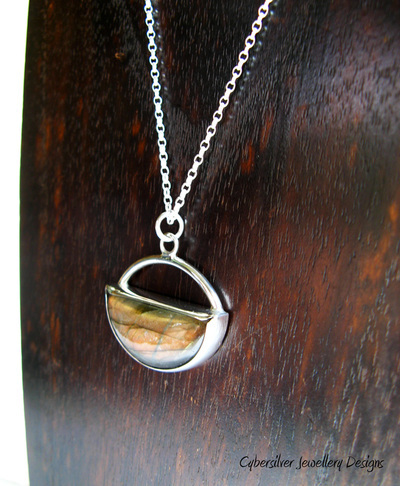 These are inherent characteristics of the stone and not flaws or defects.